The next generation of midi keyboard controllers has arrived! With a true 61 key piano feel, the controls have never been smoother or more accurate than ever before! Perfect for all of your virtual software needs as a midi controller. 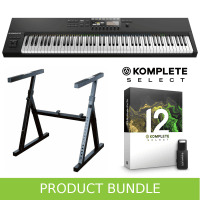 Able to experience a wide range of capabilities, with the Komplete 11 Select pack included, you can experience a wide range of tones with the 11 virtual instruments and plug ins included! The Komplete Kontrol has rapidly become an industry standard in controllers, with its pre mapped controls, your virtual instruments are all set up and ready to go! The Clear View Display shows your instruments’ most important parameters right on the hardware, while the precision Light Guide pinpoints the location of sounds, key zones, switches, scales, and more. Enhance your performance with a world of melody and harmony: Stay-on key, with notes of the currently selected scale or mode lit on the Light Guide, or activate chord mode and create a rich progression by playing single keys. Then switch on the built-in arpeggiator, and turn those single notes into an expressive musical performance. And if you’re new to the keys, Easy Mode maps all the white keys to whichever scale you like, so you’ll never hit a wrong note. Komplete 12 Select is included, and includes the following plugins. 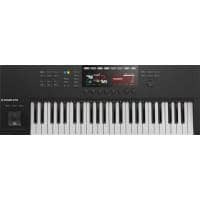 All Komplete Kontrol A-Series Keyboards are NKS compatible. In short, NKS, or Native Kontrol Stanard is an extended plugin format created by Native Instruments which Komplete Kontrol keyboards and Maschine hardware utilise to control your Native Instruments & compatible third party software. It seamlessly bridges the gap between your NI hardware and software, allowing you to browse, load, and manipulate presets and sounds directly from your controller. As NKS is a standard and not exclusive to Native Instruments, many other software companies (over 75) are now using this for extended playability. 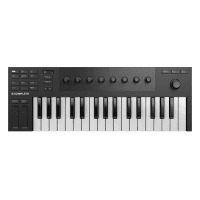 All of this is achieved through the Komplete Kontrol Software, which is included with The A-Series Keyboards or as a separate free download. Genius features which have stemmed from NKS are the accessibility features for the visually impaired. Being visually impaired can pose a challenge when creating music, but it doesn't inhibit talent - just look at Stevie Wonder! 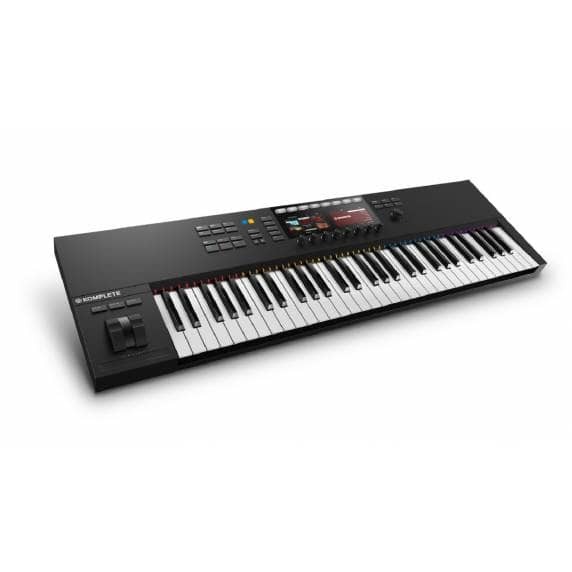 With the new A-Series Keyboards, along with other hardware in the Native Instruments catalogue, you can audibly hear what you are selecting when browsing and controlling presets and patches on the hardware. For someone who may struggle to see what's on screen replying only on touch and sound, being able to hear they are browsing a pad or bass, or controlling filter cutoff is a game changer, and is only available with Native Instruments and NKS hardware / software.